Our superior quality Wood ranges are crafted by hand in our UK factory and have been designed in line with Rustic styling methods that would suit older traditional interiors and Barn Conversions. 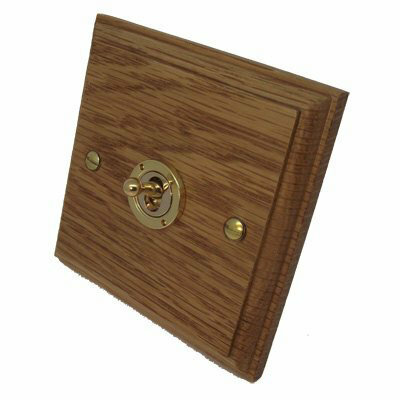 The Jacobean ranges are manufactured from Solid Oak sourced from managed forests in North American and Europe which ensures this range is of the highest qu ... Read more on Wood Sockets and Switches. 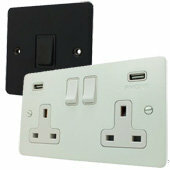 To see all the available socket and switch models from the Wood Range, click on the range name or image. Art Deco Oak is available in these finishes. 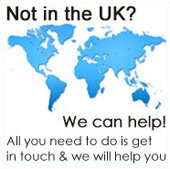 Click to see full range & prices. •et; Made In The U.K.
Flat Wood Veneer is available in these finishes. Click to see full range & prices. 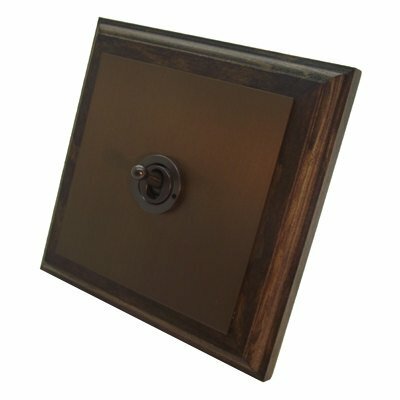 Jacobean Dark Oak is available in these finishes. Click to see full range & prices. 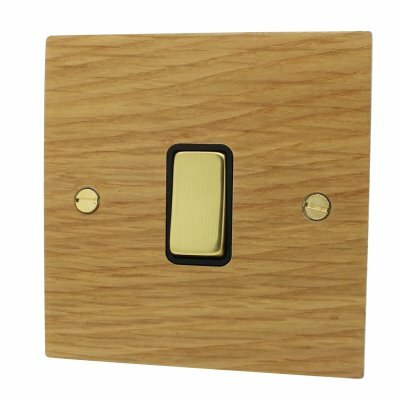 Jacobean Light Oak is available in these finishes. 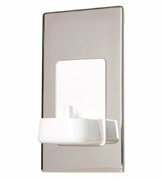 Click to see full range & prices. Jacobean Medium Oak is available in these finishes. Click to see full range & prices. Vintage (Bakelite) Dome is available in these finishes. Click to see full range & prices. Vintage (Metal) Dome is available in these finishes. Click to see full range & prices. Vintage Bakelite is available in these finishes. Click to see full range & prices. Vintage Oak is available in these finishes. Click to see full range & prices. The Jacobean ranges are manufactured from Solid Oak sourced from managed forests in North American and Europe which ensures this range is of the highest quality and remains a natural looking product. 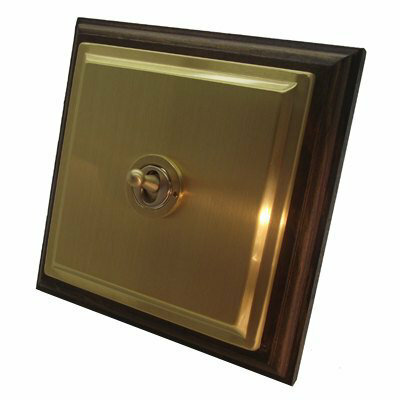 To maximize its versatility this range is available in Light, Medium and Dark oak together with metal rocker switches in a verity of different finishes. 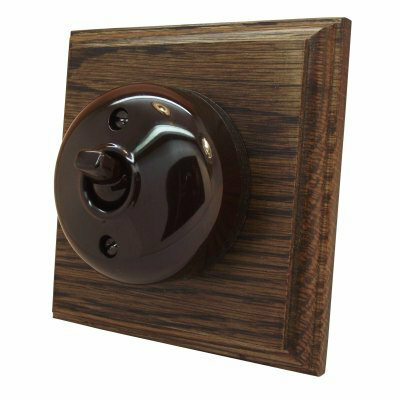 You can combine your chosen wood finish with whichever switch finish you require from Brass to Chrome, Polished or Satin or even simple Black or White. The frames on the Olde English, Art Deco Oak and Vintage Oak ranges are manufactured from pine with a Tudor Oak stain. 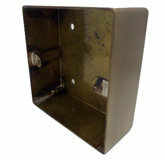 The sockets and switches in these ranges are finished in a verity of finishes as listed on the particular range pages. 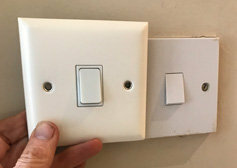 We have supplied these switches to the finest Farm Houses and Country Cottages in England as well as Barn Conversions and period properties all over the UK. 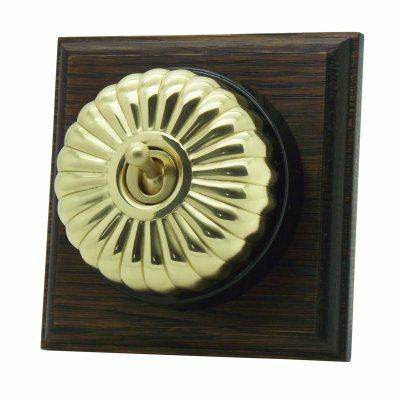 These range include the highest quality electrical switches on the market today, made by Wandsworth these switches come with a 25 year guarantee against mechanical and electrical failure to give you the confidence that these switches will last the test of time. 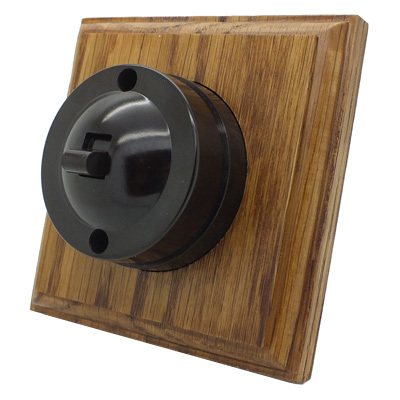 If you need a Rustic yet natural organic look, the Wood ranges of Electrical Accessories are the range for you. 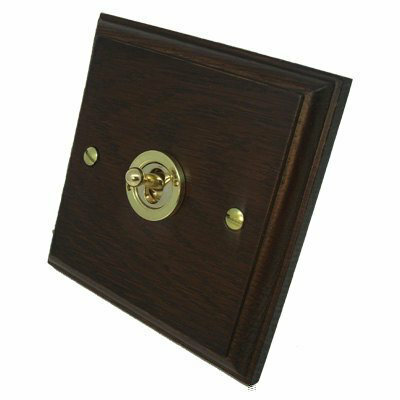 As you will see we offer a comprehensive range of products in each range for you to choose from, however should you require an item not shown or a bespoke item, please check availability by giving us a call on 0845 812 3838.